Hazelnutt House: "Hey, what did you get in Japan?" A couple of my friends are leaving for Japan. I got quizzed several times, "Hey, what did you buy in Japan? Any shops that I should go to?" I really didn't shop much when I was there in January this year but there were two shops that I visited several times to snoop around and ogle at the shelves of beauty products. 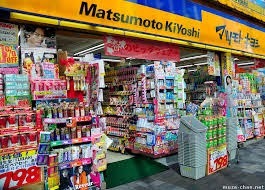 Matsumoto Kiyoshi pops up in the streets of Tokyu like wild mushrooms, so it is difficult to miss this shop that is bursting at the seams with endless beauty goodies. The other store that is also interesting is Tokyu Hands. You can practically find EVERYTHING at Tokyu Hands. They sell bicycles, beauty products, clothes, shoes, household items, glasses, toys... you name it. Some Tokyu Hands are HUGE! The one in Takashimaya has probably 5 levels (if I remember correctly). Other Tokyu Hands are smaller, but just as fun to snoop around. Ok, here comes my photo spam of what I purchased to give you an idea what there is to look out for. I won't recommend this hehee... coz it didn't do anything for me. 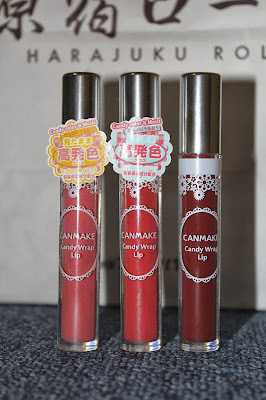 Some Canmake lip glosses which are cheaper than in Singapore. Here's some Heroine mascara, mineral powder with Little Twin Stars motif, Visee blush and K-palette eyebrow pen. Ettusais is way cheaper in Japan, so it'll be good to pick some items up if you are a follower of this brand. I bought the Ettusais Puru Puru Mist. 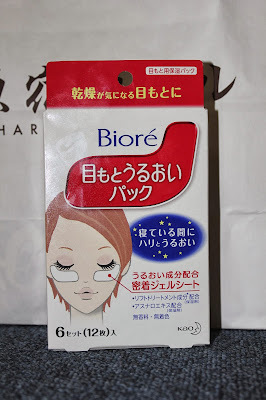 Of coz one has to try out the crazy selection of Japanese sunscreen. The one on the left is from Shiseido and it does leave a slight powdery feel on the skin. The Biore UV Aqua Rich Watery Essence is great to use on arms especially in warm and humid Singapore weather. The one on the right is Hada Labo UV Creamy Gel. It is a tad too moisturizing for me. I'll recommend using it on arms for a moisture boost or on dry mature skin. For coz, I jumped at the chance to visit Daiso, partly to see for myself how it differs from those in Singapore. I picked up these plant kits for the fun of it. The plants didn't grow ... hehee... bummer. Ginger sugar, cinnamon sugar, cacao sugar and almond sugar. These green tea powder from Daiso don't taste that good. Skip them. Oh yes... Magic Salt (",) I love sprinkling it over my salad, sunny side up egg or in pasta. These Pretz potato sticks are the bomb!!! I bought many boxes of these coz it is super duper expensive in Singapore. Some cute face towels for Kiddo... easy for her to wring with her small hands. I picked up these origami books for Kiddo and she had so much fun creating paper toys for herself. Ah ha... snack time! It will be wise to purchase snacks at the airport so that you do not have to lug them around with you. I bought two varieties of the Tokyo Banana... Original and the Caramel Custard Cream. Here's the Hokkaido Cheese Cake and the Hokkaido Shiroi Koibito Chocolate Cookie. These chocolate cookies also known as White Lover Chocolate Cookies needs no introduction. 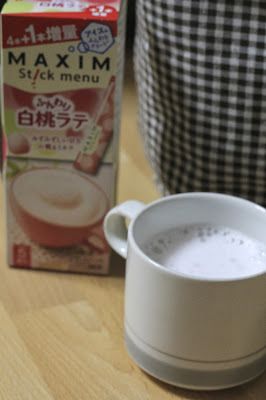 You can skip this Hokkaido Cheese Cakes... they are really tiny and don't pack a punch. Kinda like sponge cake with a teeny weeny taste of cheese. The animal print on the cake is so adorable! The caramel is sticky and is great to snack on when it is refrigerated. From one of the supermarkets, I bought some Maxim beverage sticks. Matcha, Chocolate Mint and PEACH!!! This peach beverage is sooOOoo fun to drink. Once hot water is added, it fizzes up and the peach smells soOOoooo good - albeit artificial, like the Hi-chew candy kinda scent. This matcha is superb too (",) One of the nicer ones that I've tried. I am going next week so this is def super helpful for me!! Coolest! I can soooo visualize you snooping in and out of the drugstores like I did! Don't forget the lucky bags if you are still there on New Year's Day! Have fun! Which make up brand is the little twin stars powder from? Thank you!